I just heard. This is heartbreaking. I wonder if this is intentional, some sort of terrorism ? 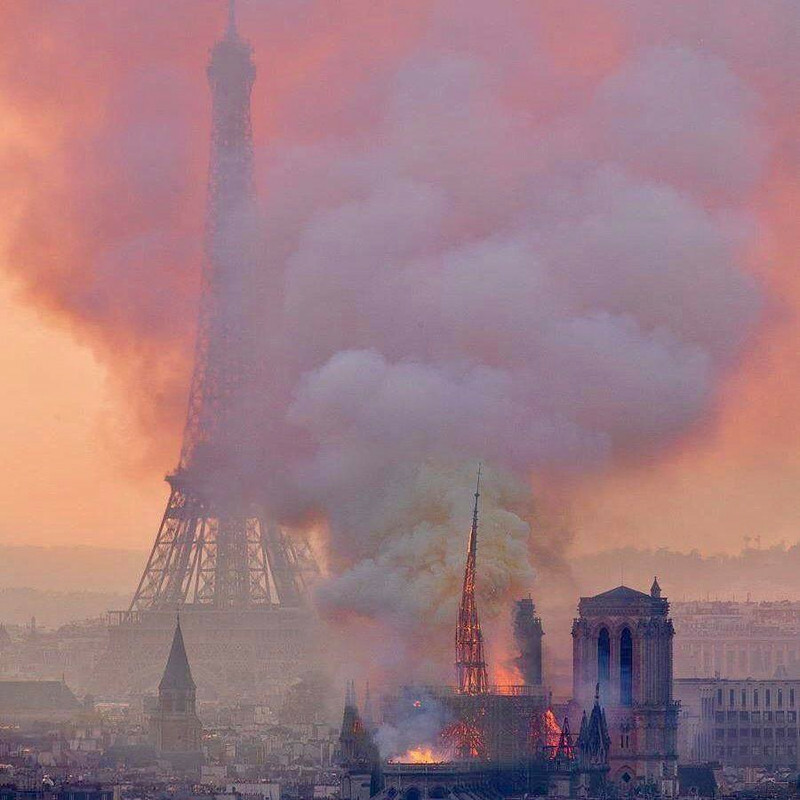 It seems that the fire started around or close to the construction which is why they are saying it is probably a construction-related accident, but I am suspicious given that the next largest church in Paris suffered arson just a few weeks ago, along with vandalism of many other churches in France even just in this year. Hopefully we will find out exactly what caused this. Meanwhile, they are singing the rosary in the streets. This was heartbreaking. I know what you mean. 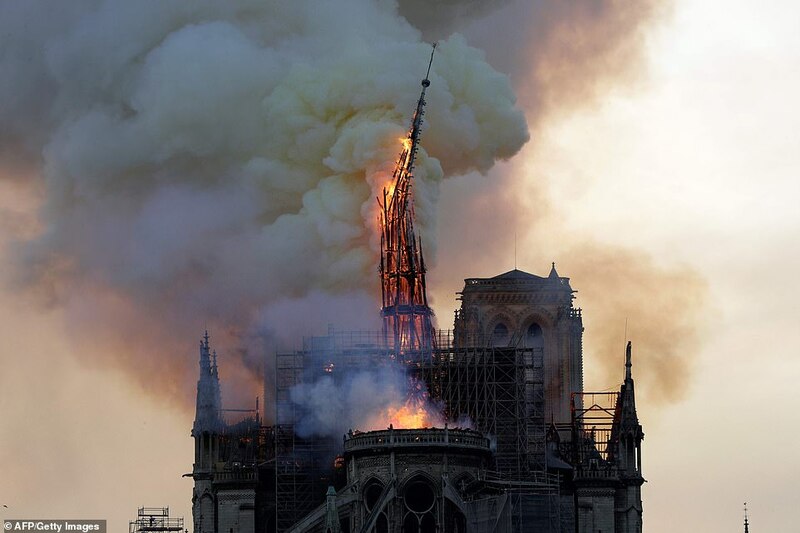 There is always suspicion now when a church has burnt. As you said, there have been so many others around the world that have been intentionally burned. What a sad state. Devastating. What a tragedy. I just can't believe it. My family and I walked eight hours just to see the Cathedral when we were in Paris in 2000. I will always remember being there, in total awe. Yes, a tragedy to say the least. At least you did get to see it, that is a blessing. Just terrible. I keep thinking about this fire. It just keeps telling me that its just a question of time before everything has its time to return to dust. 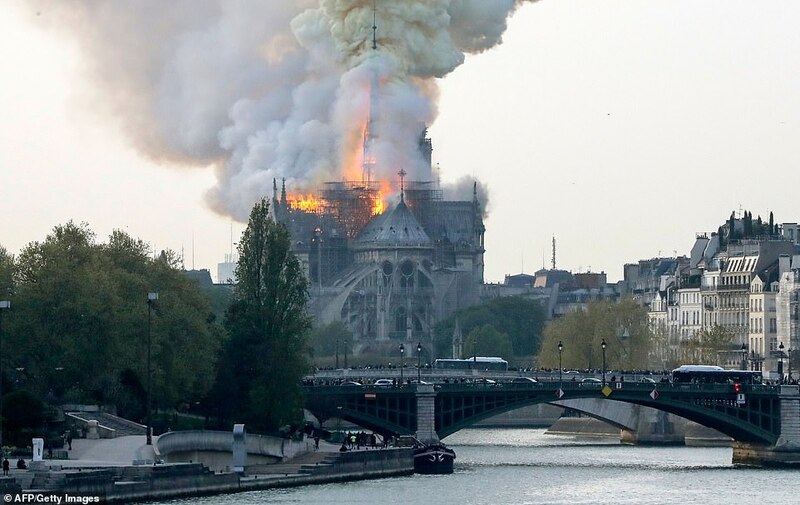 I just read that the firefighters have reported that the cathedral has been saved, albeit with extensive damage but surprisingly intact. Please pray a prayer of thanks for them for their efforts and the risks that they’ve taken to save it. I also read that one firefighter was seriously injured so please pray for him as well. Yes. I have been watching this on cnn and that is what they have also said. I have no doubt that it will be rebuilt. It wont be the same as it was, but isn't the same as when something happens to our lives? We change, hopefully better and stronger than before. This is what it's for. Think of the resurrection of faith that's now possible in Paris as people pull together to restore their heritage.